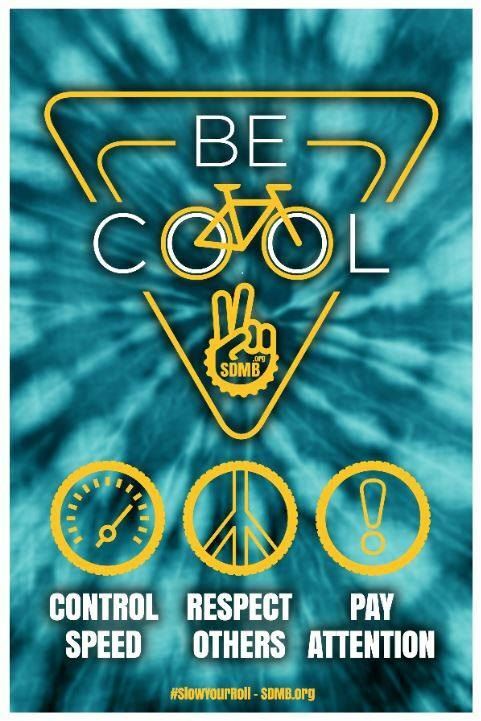 "Be Cool" is SDMB's campaign to promote responsible mountain bike trail etiquette. As our trail systems become more congested (especially during the peak winter riding season) it's even more important to follow proper etiquette while riding. 3) "Pay Attention" - watch out for other trail users at all times and don't ride up on someone at Mach 5, always use a bell to let other users know you are approaching. Listen to the #BeCool episode of KXCI's Pedaling the Pueblo! Look for #BeCool ambassadors at trailheads across Tucson!